Do I need to change my Anmeldebescheinigung or Bescheinigung des Daueraufenthalts if I naturalise? I’ve decided to give this question a separate answer in light of the fact that there seems to be some confusion still, possibly arising from the fact that people are mixing information between naturalising as an Austrian and naturalising with another EU citizenship that allows British citizens to retain their British citizenship as well as taking another EU citizenship for which they are also eligible. The answer is simple. 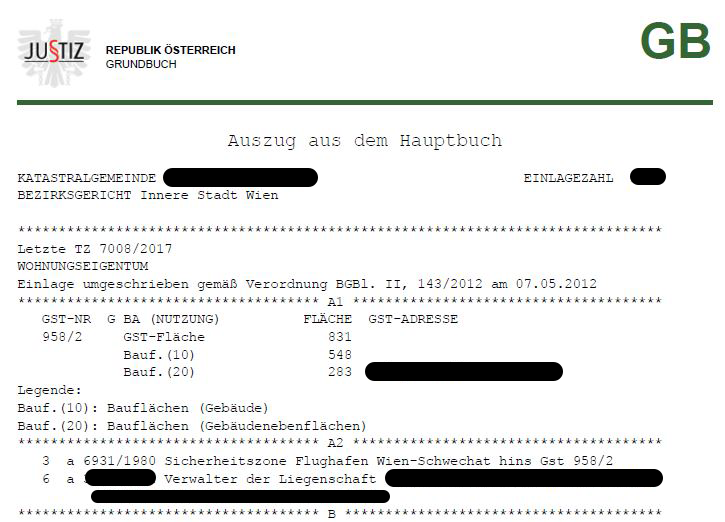 If you take Austrian citizenship you no longer have either the Anmeldebescheinigung (this is part of ensuring you this ability to exercise the freedom of movement), which you get after three months of living in Austria. If you have done a Bescheinigung des Daueraufenthalts you turn in this form in any case. If you naturalise as an Austrian you surrender whichever of these you hold when you become an Austrian citizen (for pre 2006 arrivals your Meldezettel or Bestätigung der Meldung covers the Anmeldebescheinigung). 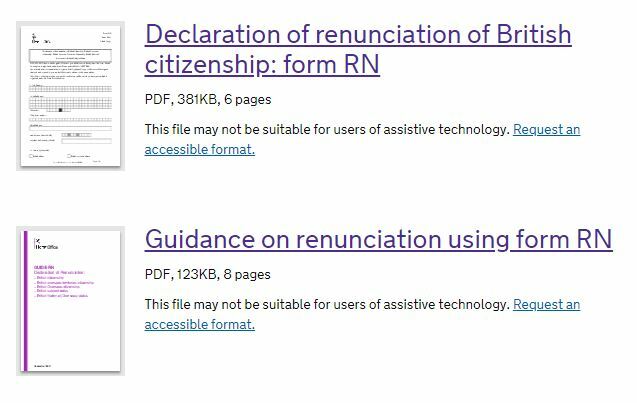 If you are taking an additional citizenship of another EU country to supplement your British citizenship, the advice is to update your registration to reflect your new status i.e. 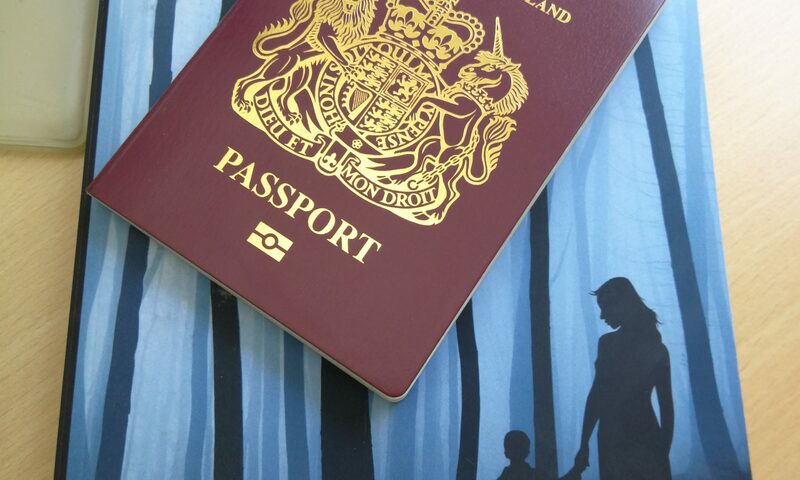 amending your current residence documents to reflect your supplementary nationality. This advice was confirmed by the HM Embassy in consultation with the Innenministerium as per the tweet exchange below. From the outset, I have always advocated that naturalisation is a deeply personal issue, and is heavily dependent on personal circumstances. 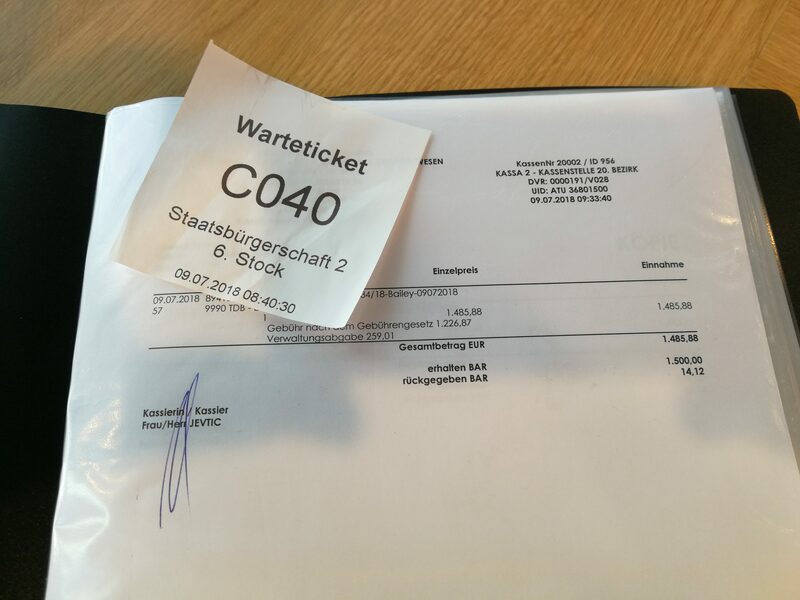 My own personal first foray into looking into naturalisation and becoming an Austrian citizen, back in 2016 was to attend an event about taking Austrian citizenship held by a lawyer specialising in the field. Granted at that evening the audience were not only Britons, but in the last two and a half years the issue has become one of a hitherto unknown importance for Britons. At a live chat on Facebook that the well-meaning British ambassador oversaw, following on from a similar chat by an FCO staff member earlier that year(2017), it soon became apparent that the prime motivation for naturalisation would be to have certainty in uncertain times. For me there was never the option to exercise my claim to another EU citizenship – those who had that opportunity, I fully supported in their intention to take an additional citizenship, and asked others considering it and waiting and saying why they haven’t acted upon it – the reasons were often their personal ones, which I can accept. Others waivered as the emotional bond of British citizenship and losing it was insurmountable for them. I have no problem with that – it is just one of the many factors that makes naturalisation and renouncing the citizenship of the country of one’s birth a deeply personal decision. Some acquaintances branded me a traitor (and not in an ironic or humourous way). They of course are welcome to their own view, but that won’t change the fact that I naturalised for me and for the welfare of my family. Having blogged about the Referendum that led to the Decision of the United Kingdom to leave the European Union from it being called and discovering that I would not be eligible to vote in it, through to waking up on my 39th birthday as a father of a three month old son, unsure of what the future would hold. Leaving the UK from a family party in March 2017, I resolved that I would not enter the UK as a British citizen again. I still have not visited again since. The journey has been a roller-coaster over the last two years, and one which for Britons in the EU will continue to be so for a while yet, although there are promising signs that Austria will be enacting law to underpin the recent messages from the Foreign Minister (see below) and the Federal Chancellery that suggest the future might be more certain again for the approx. 11,000 Britons in Austria, after a slightly alarming remark from Andreas Pölzl in the Innenministerium. An orderly #Brexit is essential. But whatever the outcome may be, British citizens in Austria can rest assured that they will still be welcome and their rights will be protected. You are a valuable addition to our country and we want you to stay! I’ll be following the legislation that comes in on its passage through parliament. I hope for Britons in Austria that the passage is a swift one, without any delays or unpleasant surprises, and that the outcome is a satisfactory one. In moments of doubt it was sometimes difficult to keep on going, although there were definitely high points along the way. 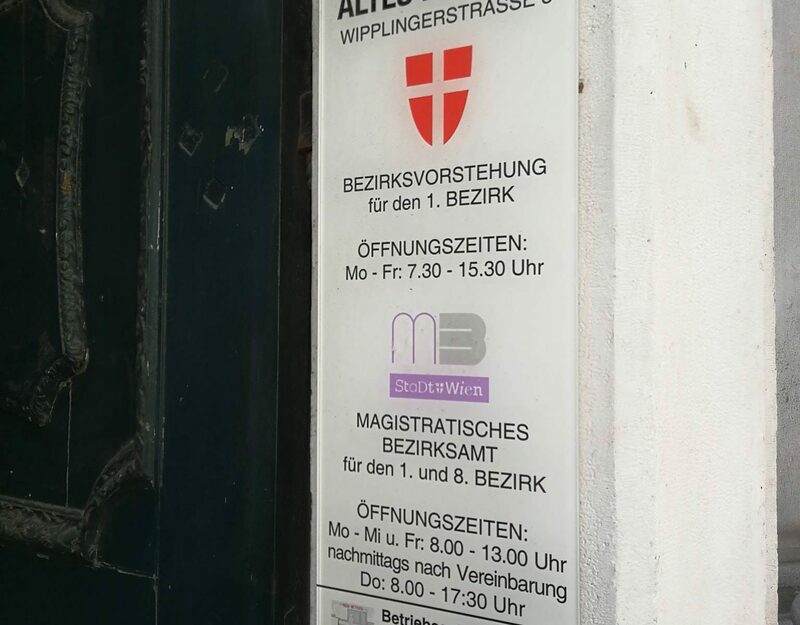 Part of my motivation for this blog was to also resolve the many half-truths that were circulating about “dual citizenship/nationality”, the approach of “revoke and resume” and to back up my arguments with references from Austrian law. Similarly, in a time when many Britons felt more uncertain about their future than before, I wanted to reassure those considering the route towards Austrian citizen. The experience, particularly with MA35 and attending townhall meetings organised with DExEU and Embassy staff, has also helped me to deepen my interest in politics, to ask incisive questions and put “experts” on the spot. As my blog has gained traction, started to be read by a bigger audience and positive feedback has been received, there has been a knock-on effect, and I have been asked to speak on television and radio on a national level. The unexpected positive side of this has been that people I had lost contact with have got back in touch – they heard me on the radio, saw me on television and it motivated them to get back in touch. It has proven a fascinating insight into the workings of the media and how news is made. I’ve learned what the media wants to hear, how to articulate soundbites in German to suit the needs of the broadcasters and got to understand about being interviewed on various subjects, speaking passionately and how to get to the soundbite that the media wish to have. I’ve appeared on television, in print, on the radio, in English and German, and have of coursed blogged the entire process. 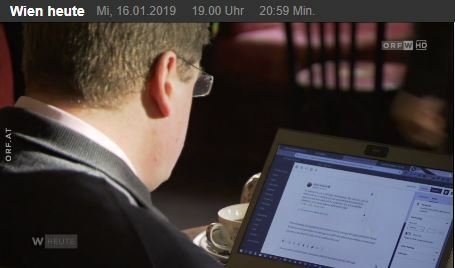 Incidentally this post was partially written when I appeared on a segment in ORF’s Wien Heute on 16 January 2019. I’ve made new friends and acquaintances – contact has been established to and with other Britons in similar circumstances, others wanting informal advice – I realise of course that the advice I give cannot be a substitute for professional advice, although often reassurance is often needed on a human level, and some of the hurdles that others face in going through the same process have been overcome through some suggestions (e.g. helping them with drafting the CV that they need, checking that it corresponds directly to the times on their Versicherungsdatenauszug). And of course, old friendships has been rekindled, contact made after several years again – it is a good feeling not to be a Karteileiche in someone’s phone contact list! 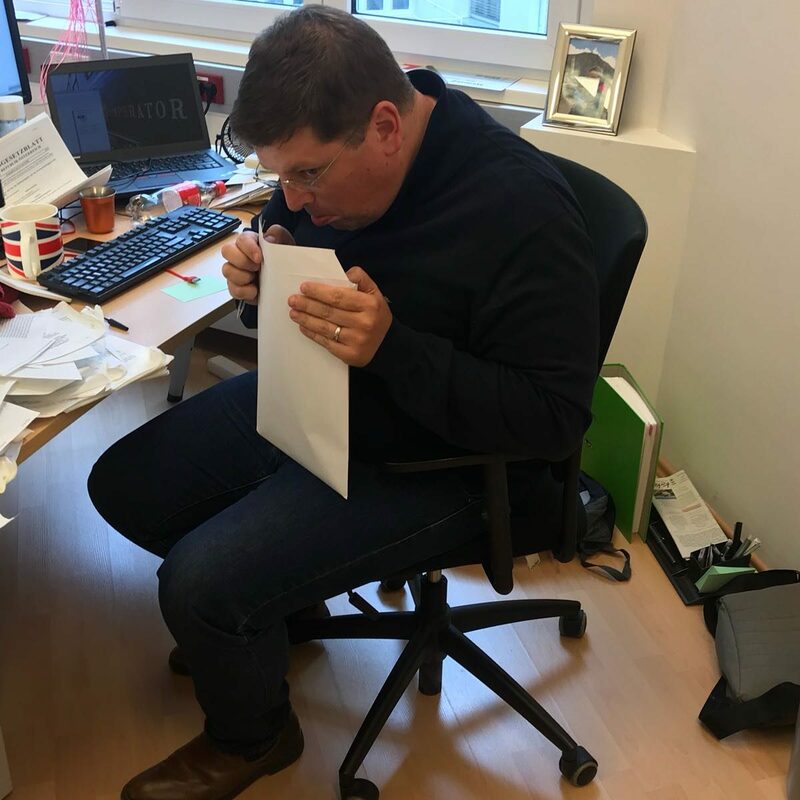 As each stage of the process was completed, there was a definite buzz – each letter, positive e-mail, and appointment negotiated were milestones. But there were other smaller milestones too – not just the Antragstermin, the passing of the test, the Zusicherungsbescheid being granted, the ceremony, the passport arriving in the post and last but by no means least the renunciation. There were other milestones, such as being told that no more papers were required, that the investigative procedure was concluded, that they were satisfied with everything. When I attended an event about naturalisation given by a lawyer, one of the takeaways was that from Antragstermin to naturalisation it was usually 15-18 months, and that with a lawyer it might be typically cut from 9-12 months. In my case, in the end, the wait from Infotermin to Antragstermin excluded, it took eight and a half months. In my wife’s case as a third country citizen naturalising, due to problems admitted by MA35 that they had “difficulties” in 2014-15 her process took nearly four years. Fortunately, I also managed for my son to naturalise with me, and thereby for my twins, born just a few weeks after my becoming Austrian, that they are Austrian from birth, entitling them, should they ever wish to naturalise as British to exercise a Beibehaltungsrecht to remain Austrian in the process. At the start of August, I received a note in the letterbox to say that I had a package waiting. I went to the collection point and it turned out to be my returned renunciation documents back from Liverpool. My British citizenship was officially renounced on 24 July 2018, and my son’s application was rejected, as I had suspected would be the case when I wrote the covering letter, being rejected on the simple and categorical grounds of his being a minor as set out in the British Nationality Act of 1981. In addition, in a superfluity of modal verbs the letter advised that I “should return any valid travel documents that I may still have“. With the legal second having been named, I duly filed my British passports in a safe place (since they contain visa information that might be useful for applications for future visas), although they are of course no longer valid for travel. There is sadly no option for having them cancelled and returned. I went into MA35 shortly thereafter to deposit this new information with them, but the specialist person I had been advised to see was away. Her colleague took my forms (a copy of the applicant’s RN form stamped as registered is what MA35 required to be able to conclude my process, including the removal of “British” from my nationality on my Melderegisterauszug, so that I was formally only listed as Austrian (this was important for reasons that will only become apparent in another future post). 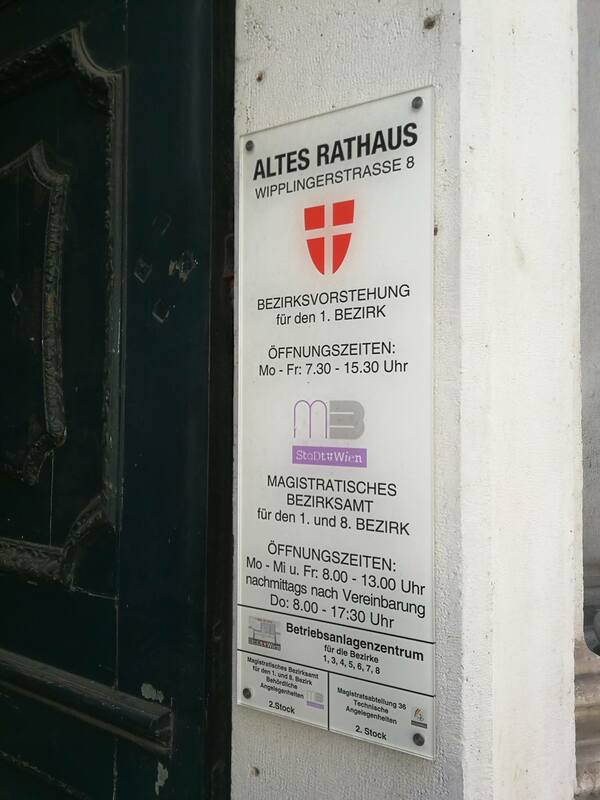 For my son, I deposited the correspondence regarding the rejection of his renunciation, which her colleague would look at upon her return and promptly went to the Altes Rathaus to have my Personalausweis issued. I had already got my Austrian passport through the post and the ID card arrived a couple of days after ordering it in the same way. I’ve never got the UK’s opposition to ID cards, which seem to simplify a lot of day-to-day tasks – a credit card-sized document which allows me to get a phone contract, sign for a parcel and many other errand-related tasks, and which can even be used within the Schengen area in lieu of a passport, although I intend to still cross borders with my passport. 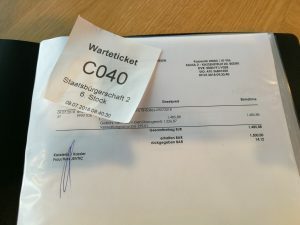 I haven’t done a Personalausweis for my son yet, due to the fact that doing one of course takes time and at the age of two would only be valid for a couple of years (Personalausweise are available for minors, but are not valid for the full ten years, as with mine, instead usually being for two or five years). I also wanted to wait for the conclusion of his process (to be handled in another post). 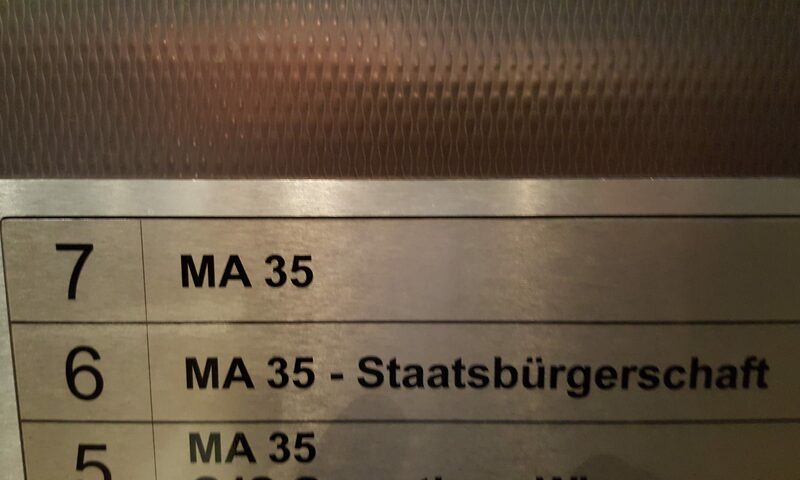 So I have my Zusicherung der Verleihung der österreichischen Staatsbürgerschaft, what now? I am a British citizen and my child is born in Austria, and my partner (the child’s mother/father) is also not Austrian. Can my child claim Austrian citizenship purely by virtue of being born on Austrian soil? Is a British citizen’s child entitled to Austrian citizenship purely by dint of the being born on Austrian soil – ie. to non-Austrian parents. No. 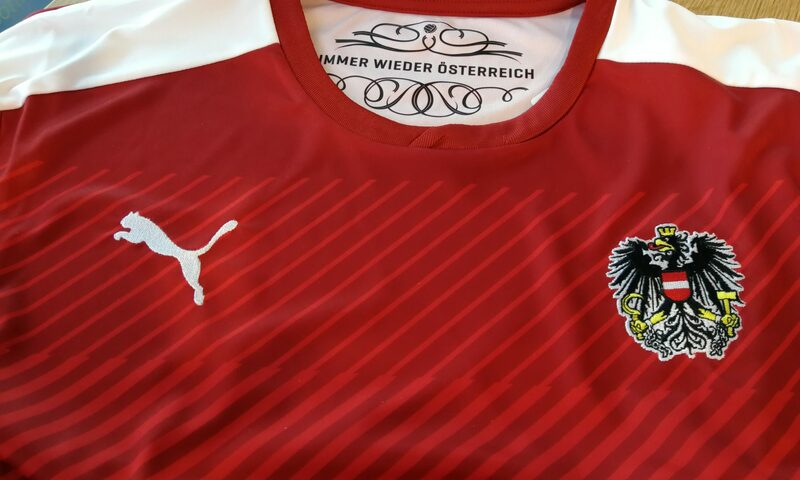 Austria uses lex sanguinis (ie. citizenship by descent, so you are the nationality/nationalities that your parents are) and therefore you are the nationality that your parents hold. In my case, my first child was born in Austria to a Briton and a Russian, and therefore had claims to British and Russian. We did not exercise the claim to Russian, since he would have lost Russian citizenship automatically when my wife naturalised as an Austrian, as Russians don’t allow the retention of Russian citizenship by minors of parents renouncing their Russian citizenship. Were the child’s mother or father to be Austrian, the child can of course take Austrian citizenship (as was the case of my second and third children, who were Austrian by birth) by descent (durch Abstammung) and are treated as Austrian from birth. To note is that this also applies even if the parent through whom they have a claim to Austrian citizenship has only been naturalised shortly prior to their birth (in my case, I was an Austrian citizen for only 57 days before the twins were born). In the event of the child’s parent through whom they have the claim to Austrian citizenship (most likely to be the father logically) dies prior to their birth, provided that at the time of death the parent was Austrian they would have a claim to Austrian citizenship. NB: currently under British law, a child who is only British by descent (ie. my son through me, who was born in Vienna) is unable to pass on his/her British citizenship to his children by descent unless they were to be born on British soil, or in the event that they would be otherwise stateless, were this the case for both parents.